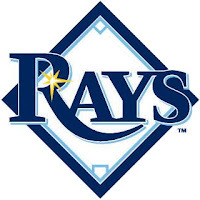 The Rays trimmed their roster another six positions this afternoon. Bryan Augenstein, Alex Colome, Hak-Ju Lee, Wilking Rodriguez, Albert Suarez and Matt Torra were sent to minor league camp. This recent round of cuts puts the Rays roster at 45 as they work closer to their opening day roster. Can you post the 2012 minor league spring training roster and/or schedule? The schedule is here, and the complete roster of milb players at camp is here. No Cesar Perez and Darryl George. Do yo have any information? Araiza and Hernandez were the two who stood out to me also, they were the starting catchers in the DSL and VSL last season. Other than that there really weren't any others moving up, at least for the start of Spring Training. That doesn't mean more won't arrive for extended ST and then play for GCL/Princeton. They may have brought Araiaz and Hernandez a little early to help out with warming up all the pitchers, lots of arms need work in ST and some of the minor league catchers have been helping out in major league ST early on. It's amazing how much throwing goes on, and you don't want to wear out all the catchers, someone needs to play in the games, so there are always a ton of catchers in camp (major and milb). One other thing, Araiaz is going by Jesus this year, in the past he's been listed as Armando, so they are the same player, just a different first name. Perez and George may be arriving in the US later since they don't figure to have any chance at a full-season roster, and they aren't catchers as I mentioned above. I haven't heard anything on Perez, but George played a lot of winter ball in Australia, up into January, so they may be giving him some time off until XST begins. Unless there is a visa issue I would expect both here by April. I doubt we'll get an updated roster for milb camp, so if they arrive sooner about the only way we'll know is if they play in a minor league ST game. Thank you for your kind answers. It sounds quite reasonable. i didnt see will kline did he retire or is he on the injured reserve list? He retired last summer. Anyone who is not on the Depth Chart is gone.